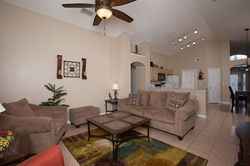 Enjoy this new addition to our vacation home choices. King Triton's is the ONLY home in our collection to offer TWO MASTER BEDROOMS. Each master comes complete with a King Size Bed and private bath.